Nominated by Dan Vannatta on behalf of the Santa Clara Vanguard Romelia "Romie" Evans has been a member of the Santa Clara Vanguard Booster Club since 1977 when her son was a member of the Santa Clara Vanguard. Her two daughters also performed with the corps. Nominated by David Whitesides on behalf of the Carolina Crown Ray and Mary McCrary have been volunteers with Carolina Crown since 1991 when their daughter marched as a member of the corps. 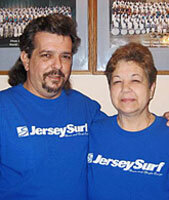 Nominated by Brian Prato on behalf of the Jersey Surf Marty and Lois Fricke have served the Jersey Surf for more than 15 years and continue to be a part of the corps family long after both of their children have aged out of its ranks. Marty is the long-time corps business manager, also helping the corps as the chairman of the transportation committee and as a truck driver. 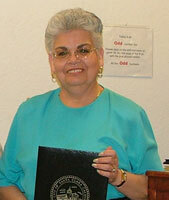 Lois continues to serve the organization as finance manager and handles bookkeeping responsibilities. She also has served as the head of the food service operation, souvenir manager and a uniform team member. 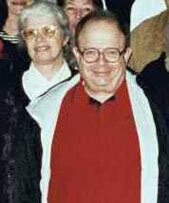 From taking tickets at a tour event to opening their home and serving legendary meals to out-of-town corps members, volunteers and staff, among many other things, Marty and Lois typify the volunteer spirit which makes the drum corps activity such a unique "family" environment. Also receiving nominations for the 2007 Volunteer of the Year were: Debbie Krebs, Rebecca Trevino, Ed Coyoli, Marie Limpel, Judy Luongo, Rick Reedy and Bill Seeley.